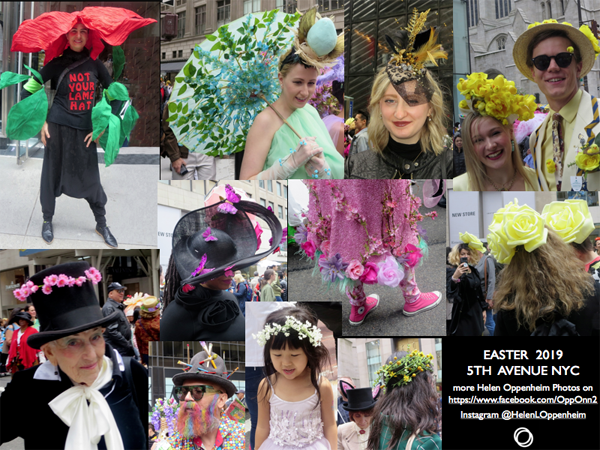 Home » Posts Tagged "Easter Hats"
Here are just a few of the Easter Fab Hats I photographed at the Easter Parade on Fifth Avenue in New York for 2019. They are more fun photos and all are bigger on my Helen Oppenheim Facebook Biz Buzz page (CLICK HERE ) and there will be a few more on my Instagram page (@HelenOppenheim) – coming soon. 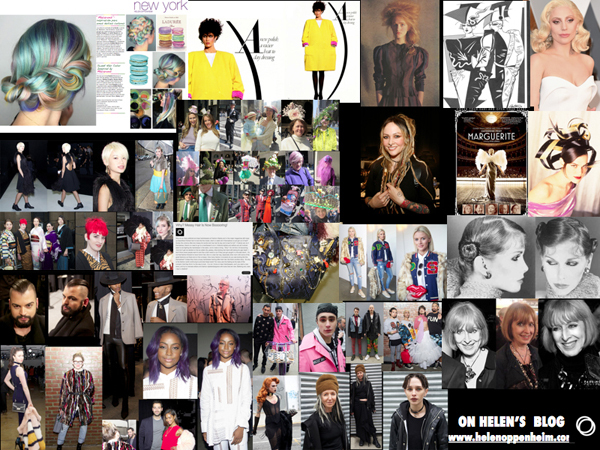 Bottom and Center Rows Left to Right: Marilyn Ackerman, memorable in a top hat with pink flowers … Visual Artist/Milliner/Hatter (@emperor_ vanity_society) in his hat saying it all, beard colored .. Daria Hardeman wearing a butterfly hat by Harriet Rosebud (HarrietRosebudHats.com ) – back view on my Facebook Biz Buzz page … to see the rest of the pink fantasy, skirt only here, go to my Facebook Biz Buzz page … The little girl with the flowers in her hair was adorable … the green buds on Alicia Tatone, also adorable.